Horizon: Zero Dawn by developer Guerrilla Games is certainly one of the better-looking and most interesting games coming out for the PS4 next year. 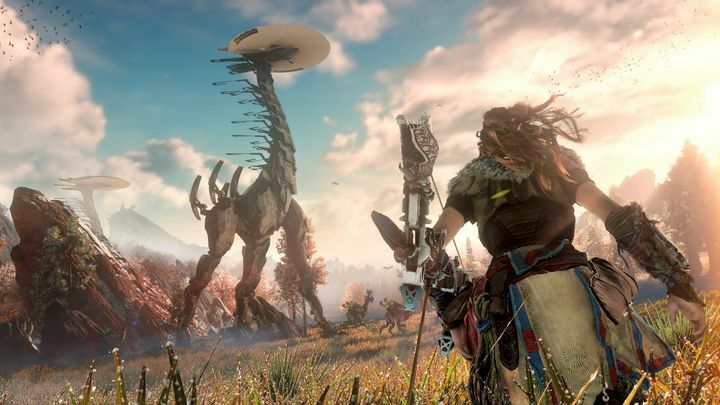 This is due to the game’s original setting, a post-apocalyptic world in which human tribes coexist with giant mechanical beasts, and the game’s great looking open-world and strong female protagonist named Aloy. Guerrilla Games upcoming game was one of the sensations at this year’s E3 show, and those gamers eagerly waiting to get their hands on the game will be pleased to know that Dutch developer Guerrilla has now revealed more information about the quests and other activities players will be able to engage in the game’s open world. According to Game Informer, Horizon: Zero Dawn will feature “Corruption Zones” and “Hunter Challenges”. In the Corruption Zones players will have to deal with a large number of the game’s dinosaur-like mechanical beasts, and wiping these out will grant players experience and make exploring that region of the map easier. Meanwhile, the Hunter Challenges take place in the game’s city of Meridian and completing tasks will allow Aloy to climb the ranks and rise to the top of the guild, which is similar to how guilds worked in games like The Elder Scrolls V: Skyrim, for instance. These tasks involve taking out some of the most fearsome creatures in the game, including the Glinthawks (robotic flying machines), and will certainly please those players looking for a challenge. What dangers await Aloy in Horizon: Zero Dawn’s post-apocalyptic world? Horizon: Zero Dawn will also feature “Tribe Quests” and also spontaneous quests in its open world. 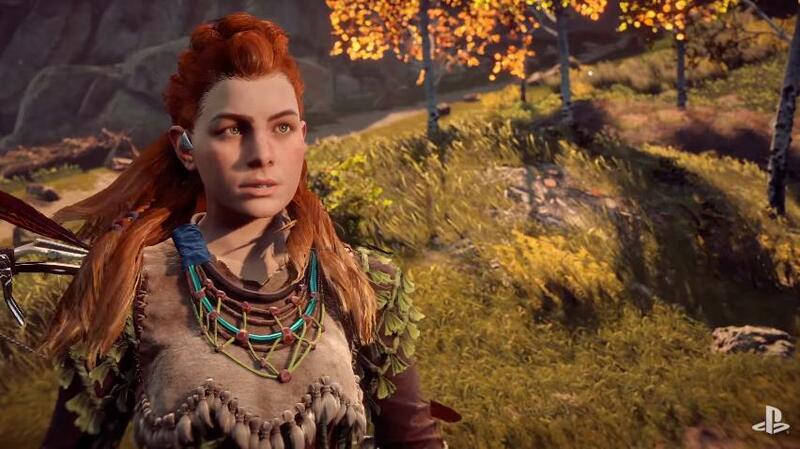 The Tribe Quests will allow Aloy to meet many of the tribes which populate the game’s post-apocalyptic world, and discover that they are not all on good terms with each other… But at least these special quests will allow players to learn more about Horizon: Zero Dawn’s world as well as protagonist Aloy’s own tribe, the Nora. Aside from the quests relating to the game’s tribes, there will also be spontaneous quests in the world (which might involve someone asking for help, for instance) which when completed will earn players rewards such as weapons upgrades, for example. And of course, Horizon: Zero Dawn will feature crafting and hunting like in other open-world games such as the Far Cry series, allowing players to replenish their stock of arrows and other consumables during gameplay. There’s no doubt, then, that Horizon: Zero Dawn will offer a plethora of activities and quests in its open world, which could make the game more rewarding to play. But hopefully the game’s main story will be as satisfying as the optional content, delivering a great all-round experience when Guerrilla Games upcoming title hits the shelves in March 2017.